Spammers are around the facebook and this time they targeted singer Justin Bieber and Selena Gomez in spreading spams on the giant social networking site – Facebook with claims that Justin Bieber and Selena Gomez have been completely shot at camcorder, in Justin Bieber’s bed.The spam link look like video[Removed the thumbnail],that is being posted on users profile even by tagging automatically the victim’s friends in the link. The Spam starts with “Oops!!! There was a hidden camera in Justin bieber’s bedroom” followed by the fake link with a thumbnail.There may be description of the link saying “WOW HaHa it’s really so funny ~ Don’t Miss it!” – According to Zdnet. The actual hyperlink goes from the video recording stuck on to an important Facebook page OR any web page.Each of those can be fake. That spammers’ mission may be to draw a lot traffic to particular sites.They get commission when the surveys completed,any product purchased or due to any account impaired.If you clicked the spam link,you are also told to share,comment the link with your facebook friends.Spammers are also stealing the personal information of users.So,never fill any of your personal information on any webpage,till you not confirmed the original source. What You Can Do To Prevent Spam Posts On Your Timeline? Before it reaches to your Facebook timeline by any of your facebook friend,Just change your Timeline Posts settings,So that no one can post on your Facebook timeline.To do so,just head over to Privacy Settings>>How You Connect>>who can post on your timeline? and edit to “only me”.That’s all ! Now you saved your profile from SPAMS.We recommend you to read our Ultimate guide On Securing Your Facebook Account From Spams. Don’t forget to share this Latest Spam among your facebook friends.So,that they also aware about the same and can prevent their profile from spammed. 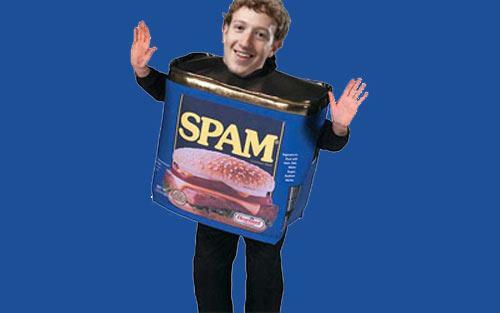 Stay subscribed to us for future updates on facebook spams and security info.